The mission of the Bloomfield Fire Department is to make Bloomfield a safe place to live through emergency response, hazard mitigation, public education and code enforcement. The department values the public’s trust and opportunity to serve; a work environment that promotes harmony, respect for each person and is free from harassment, discrimination and retaliation; a diverse workforce that reflects the community it serves; a highly trained professional workforce; and, teamwork to effectively achieve the department’s mission. The Bloomfield Fire Department has proudly served the community of Bloomfield (our neighbors) since 1950! This is a mostly volunteer department, we have a full time Fire Chief, Office Manager, Fire Captain and 2 Engineers (driver operators). We are a full emergency service department, no longer just fire, we respond to approximately 2000 emergencies per year. Our responses include structure fires, wildland fires, emergency medical, fire assist, technical rescue, vehicle accidents and many more. We pride ourselves on doing everything we can to help our citizens when they call. To do this we rely on volunteers, the current funding only allows for one full time person to man the station. However, it would be unsafe to allow one person to respond to emergencies alone so this individual is supplemented with one volunteer at all times. When an emergency incident requires more than these two personnel, which usually happens daily, the entire department is called for additional assistance. Volunteers are needed! To handle all of these incidents we have always, and will for the foreseeable future, relied on volunteers. We need volunteer firefighters, emergency medical responders, office assistance, radio station assistance, fire prevention specialists (both for inspections and public education) and help with many other duties within the department. 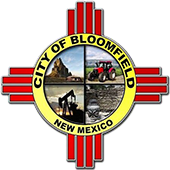 If you wish to help your community please contact the Bloomfield Fire Department at (505) 632-6363 today.